Andy Surra is the TSO Editor. This buck was taken in Ohio. HB870 introduced by Rep. Deberah Kula (D) in the state House would prevent the issuance of DMAP permits on public lands. The bill has received mixed reviews from sportsmen and we felt it was a good time to weigh-in on the issue. HB 870 has bipartisan support with cosponsor from both major political parties. However, the bill has remained in the House Game & Fisheries Committe without receiving a vote since it was refered to committee back in March. Essentially the bill has stalled and we feel when the legislature returns to Harrisburg for session this fall that they should immediately advance this very important measure and get it to the Governor’s desk for his signature. The bill would keep the Department of Conservation and Natural Resources (DCNR) from issuing DMAP permits on public lands and potentially cut the number of does killed within publicly owned state forest lands. This would be a welcomed reprieve for hunters who have bemoaned the PGC Deer Management Plan as a deer eradication plan. It is our belief that the continual increases to the allocation of antlerless deer licenses on state lands through the DMAP program has devastated the herd in the northern tier; a part of the state that relies heavily on the economic benefits associated with a prosperous deer season. The DMAP program has lost its original intent and has instead been hijacked and used as tool in efforts to decimate Pennsylvania’s whitetail deer. DMAP was created to help large private land owners manage their land and protect their property. The PGC and has continually ignored the outcries from its customers (licenses buying hunters) and public frustration with the deer situation on public lands in clear. The DMAP needs to change to respond to that frustration even if that action only reduces doe tags by a few thousand annually. If a private land owner wants to reduce the amount of deer on his/her property to a level low enough to protect their property, then that should be permitted but public lands must be managed with a greater priority given to the socio-economic effects of hunting. Afterall, hunters are customers and should be treated as such. Pennsylvania hunters should not be treated as an unlimited resources of revenue willing to continually buy a license year after year without seeing an improvement in their deer hunting experience. Many hunters, myself included have already begun annual trips out-of-state in pursuit of a better whitetail hunting experience. License sales continue to decline. 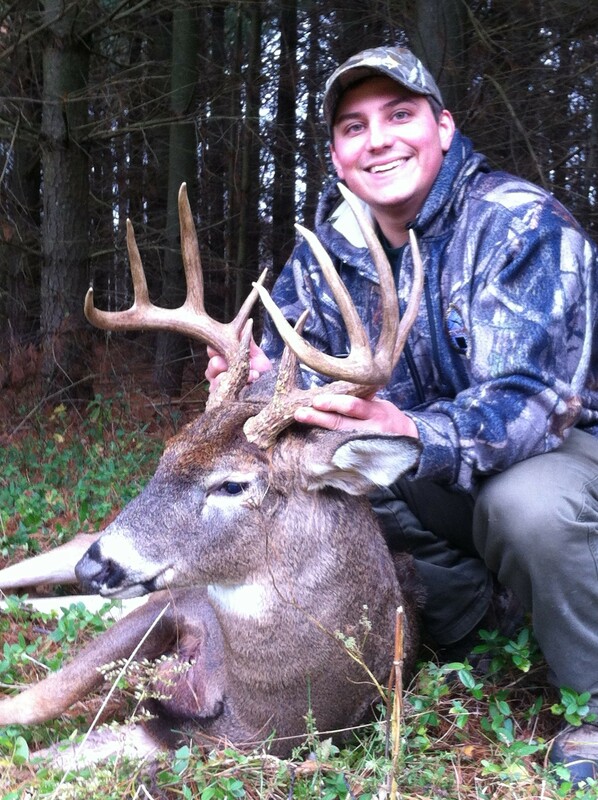 The average age of Pennsylvania hunters continues to increase. We are in danger of losing our rich whitetail hunting tradition. The best and only remedy is to allow the deer numbers to rebound by reducing antlerless deer allocations. HB870 is a step in the right direction and we commend Rep. Kula for her efforts.